(c) total bilirubin level more than twice ULN when associated with increased ALT or ALP. cholestatic (initial alkaline phosphatase rise) types. Specific histo-pathological patterns of liver injury from drug induced damage are discussed below. Zonal Necrosis: This is the most common type of drug induced liver cell necrosis where the injury is largely confined to a particular zone of the liver lobule. 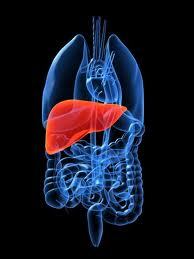 It may manifest as very high level of ALT and severe disturbance of liver function leading to acute liver failure. Hepatitis: In this pattern hepatocellular necrosis is associated with infiltration of inflammatory cells. There can be three types of drug induced hepatitis. (A) viral hepatitis type picture is the commonest, where histological features are similar to acute viral hepatitis. (B) in the focal or non specific hepatitis scattered foci of cell necrosis may accompany lymphocytic infiltrate. (C) chronic hepatitis type is very similar to autoimmune hepatitis clinically, serologically as well as histologically. Cholestasis: Liver injury leads to impairment of bile flow and clinical picture is predominated by itching and jaundice. Histology may show inflammation (cholestatic hepatitis) or it can be bland without any parenchymal inflammation. In rare occasions it can produce features similar to primary biliary cirrhosis due to progressive destruction of small bile ducts (Vanishing duct syndrome). Granuloma: Drug induced hepatic granulomas are usually associated with granulomas in other tissues and patients typically have features of systemic vasculitis and hypersensitivity. More than 50 drugs have been implicated. Vascular Lesions : They result from injury to the vascular endothelium. Neoplasm :Neoplasms have been described with prolonged exposure to some medications or toxins. Hepatocellular carcinoma, angiosarcoma and liver adenomas are the ones usually reported.